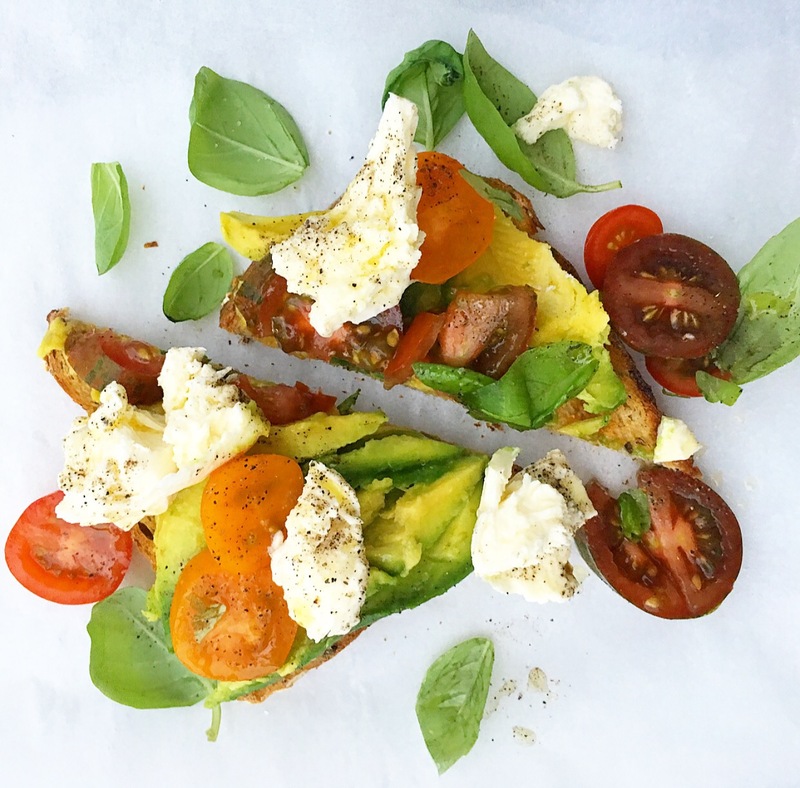 One of our favourite flavour combinations is juicy tomatoes, fresh basil and bocconcini. This very simple snack is prepared in minutes and is delicious (and nutritious) any time of the day. Lightly toast bread and butter with avocado. 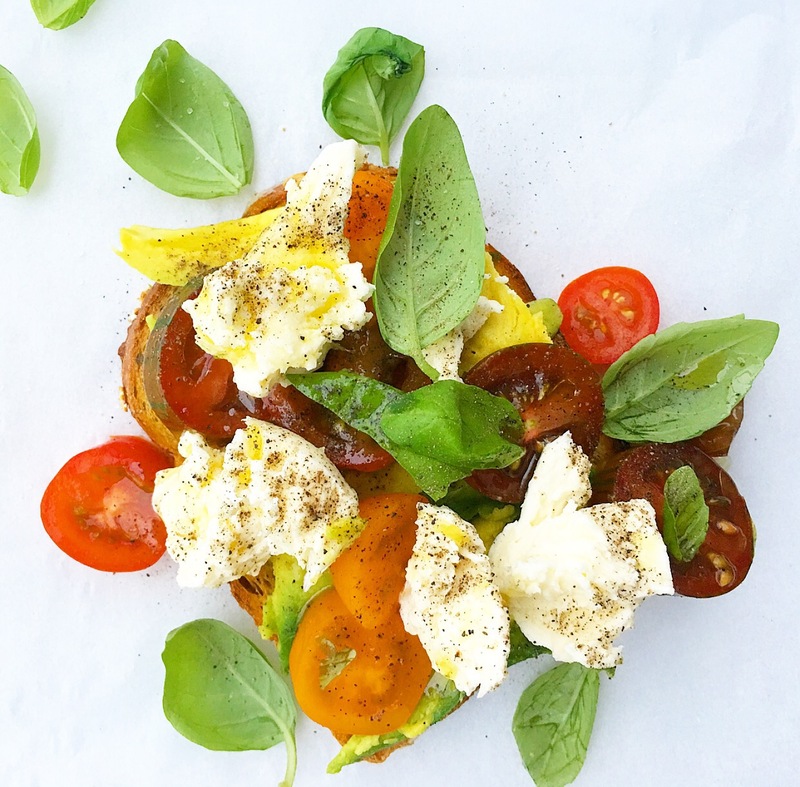 Top with halved tomatoes, torn bocconcini and basil leaves. Drizzle with olive oil and season with salt and pepper. Enjoy! 🙂 Thanks for the nice words.